Water is your house's number one enemy. Nevertheless, many home inspectors who have never done their own roofing and siding don't know what to look for. This is where experience, construction skills and the ability to inspect a house as a complex system of interdependent components are important (as opposed to just going through the motions of checking individual items on a checklist). 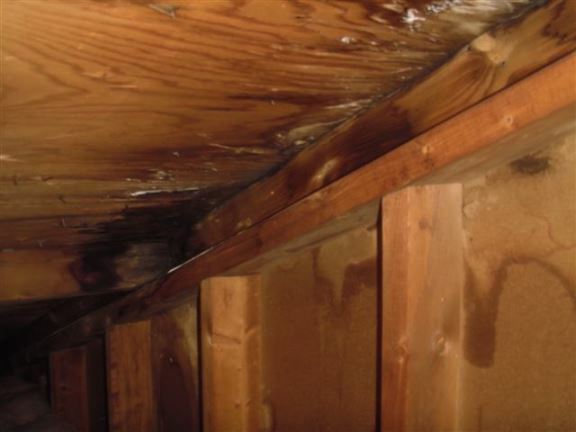 Improper roof flashings indicate the possibility of roof leaks. 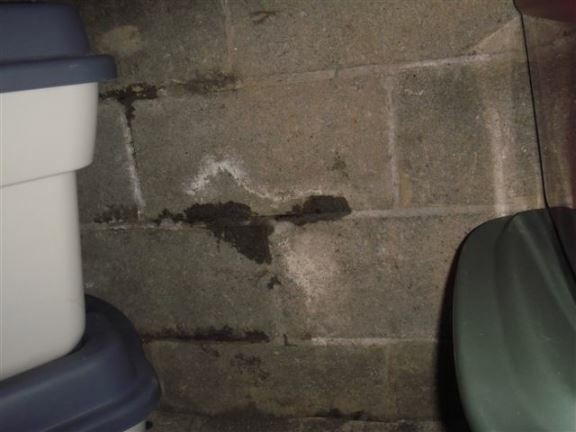 Sidewalks and patios that slope towards the house, downspouts draining too close to the foundation and poor grading are all cause for concern for basement seepage. 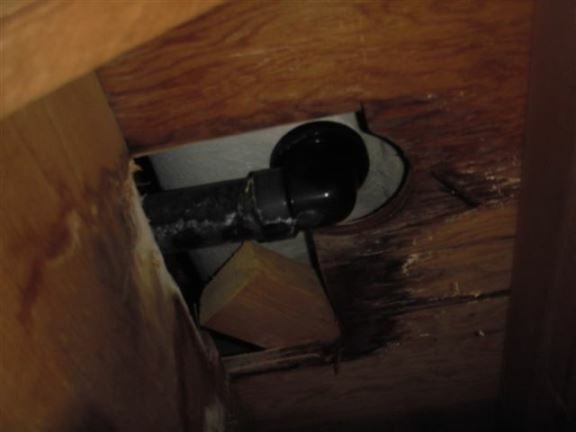 When inspecting crawl spaces it is not uncommon for bathtub drains to be leaking or drain pipes to be disconnected with raw sewage on the crawl space floor. 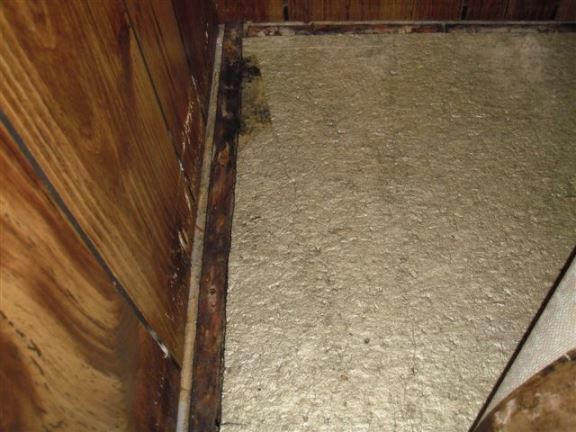 Wherever there is too much moisture there is usually mold. 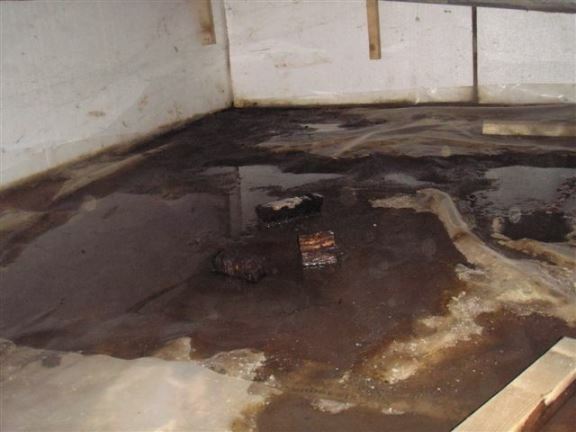 I will take special care to look for signs of seepage in a basement. Block foundation with water present and stains on the wall and floor. This indicates a chronic seepage problem. Evidence of leakage, mold and rot on carpet nailing strip in basement. 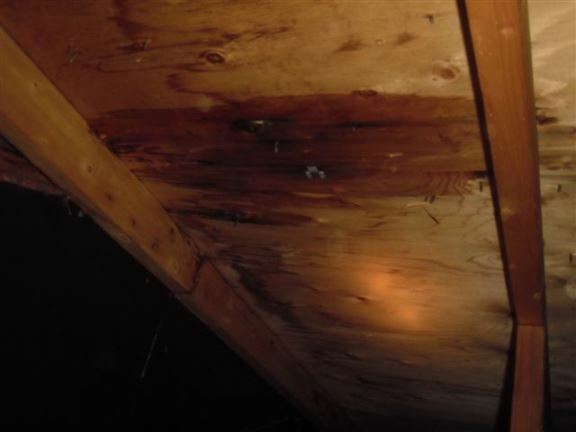 Water damage in an attic was caused by leaking chimney flashing. 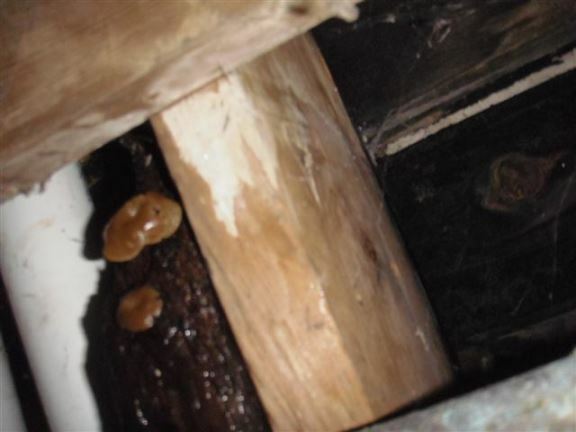 This plumbing leak is so old that there is fungus growing. 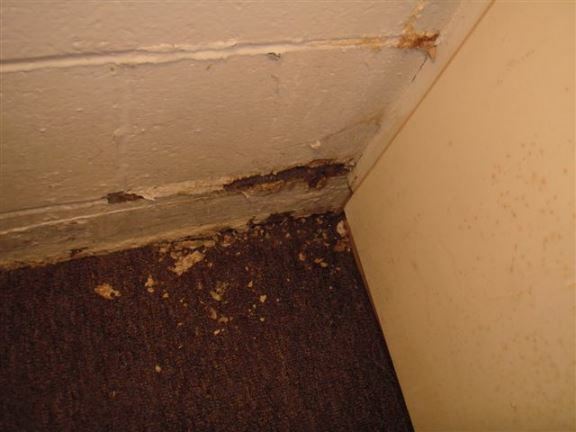 This mold build-up provides evidence of seepage in a basement. Standing water in crawl space. 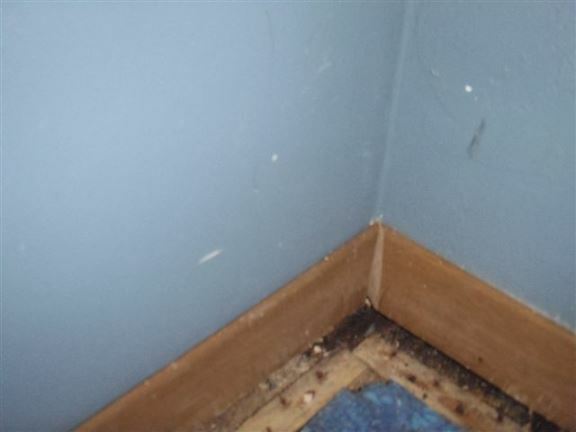 Dampness was found in a corner after lifting the carpet. I lift carpets (if possible) if I suspect water seepage. Here we see water leaking under a kitchen drain. 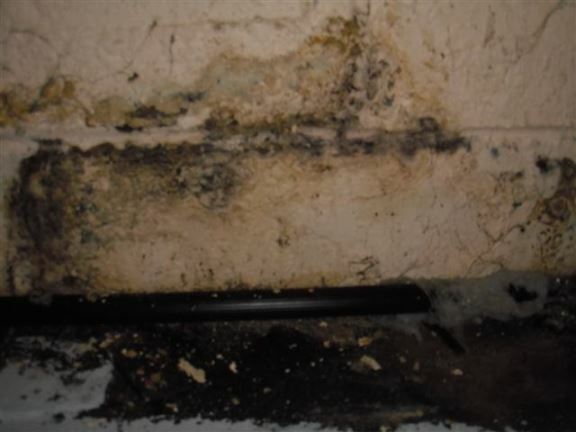 Here we see evidence of water seepage through concrete block walls. 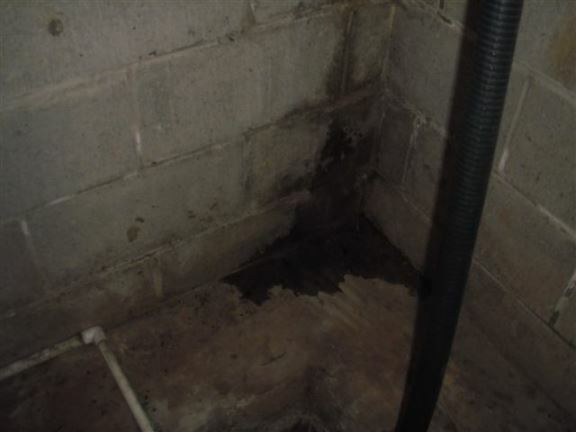 Evidence of recent water seepage in a basement. A wet spot on roof sheathing where an upper valley runs onto the roof is a sure sign of shingle or flashing leaks.